There is even an official commercial for the BB-8 2-in-1 Mega Playset! UPDATE: Hasbro has officially removed the official commercial from their official YouTube page. You can’t make this stuff up. If you are looking for all of the play features for the “rumored” BB-8 2-in-1 Mega Playset, simply search for “the last jedi hasbro” on eBay and sort by newly listed items and you should find a listing that should satiate your curiosity. Thanks to Corey from First Order Transmissions for the heads-up. In my excitement for the new playset images, I just now noticed that there is a new Jakks Elite Praetorian Guard figure as well. This is different than the funky helmeted version we’ve seen leaked before. It also happens to be the same design as the 6″ Black Series figure we are getting as well as the one included in the playset. Those that desire Hasbro’s return to playset had some new life breathed into them a couple weeks ago when we revealed the plans for a 3.75″ scale Force Link BB-8 / Star Destroyer Combo Playset. 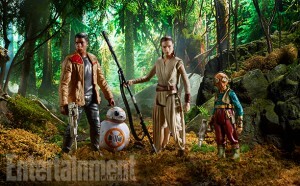 That life was sucked out again when we revealed that it included Supreme Leader Snoke as one of the pack-in figures. The Supreme Leader is substantially taller than his accompanying Elite Guard by probably a head and a half and he sure is gold. Unknown at this time if he includes an accessory other than his throne in the playset. Both Snoke and the Elite Guard are Force Link compatible. Upon doing some investigating on a publicly accessible site, I managed to find newly published details for a possible Hasbro 3.75″ Force Link compatible Playset for The Last Jedi. Click on through for some of the details.